Mary Taylor is the CHLA Trauma Program Registrar, responsible for maintaining the trauma registry database which provides for the collection, storage and reporting of information about trauma patients including the facts related to the patient's injury event, severity, care, and outcome. Obtaining, coding, and sorting this information for analysis and reporting individual and aggregate results are the expressed purposes of the trauma registry. 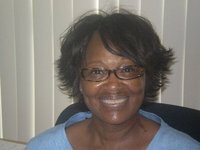 Mary has been a CHLA employee for 42 years and has worked in the trauma program for 6 years. Mary’s role as the trauma registrar is critical in the tracking, monitoring and assessment of trauma patient care, service and epidemiology and overall support of CHLA’s trauma programmatic efforts.